The Hotel Le Gruyerien in Morlon proposes 14 rooms with all the modern comfort and a conference room if you want to host a seminar. 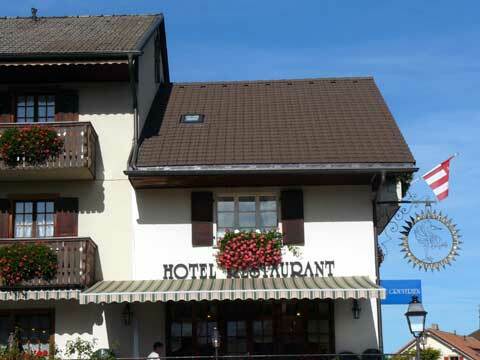 The hotel has also a restaurant that has a very good reputation for serving fine cuisine based on local products and traditions like the fishes of the nearby lake Gruyere. With its quiet and natural surroundings, the Hotel Le Gruyerien in Morlon is a perfect location for those who want to discover the beauty of Gruyere and Canton Fribourg by foot or by bike starting from their hotel. In their reviews of the hotel, guests particularly appreciated the quietness of the location, the nice and friendly attitude of the staff and the quality of the food served for breakfast and in the restaurant.